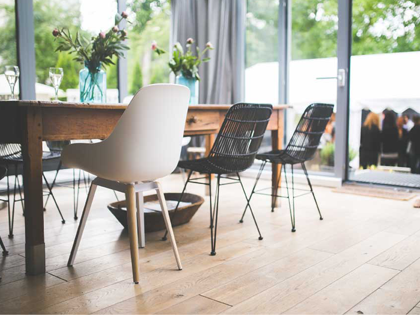 Cleaning and maintaining your laminate wooden flooring will help your floors to stay beautiful for longer – Laminate wooden flooring supplier in Johannesburg. Cleaning and maintaining your laminate wooden flooring is essential if you want your floors to stay beautiful for as long as possible. Luckily, laminate wooden floors is quite low maintenance, and will last for many years if you install a high quality reputable name brand. 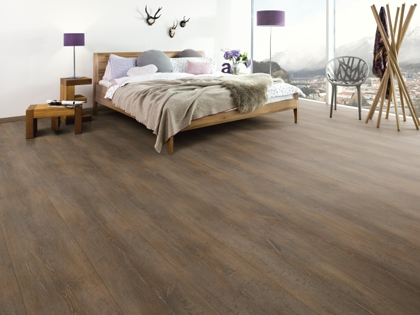 Absolut Carpets is a top supplier of laminate wooden flooring in Johannesburg, supplying an extensive range of high quality laminate wooden flooring and vinyl flooring options at very competitive prices. If you are thinking about installing laminate wooden flooring in your home or workplace, talk to a professional consultant at Absolut Carpets today. 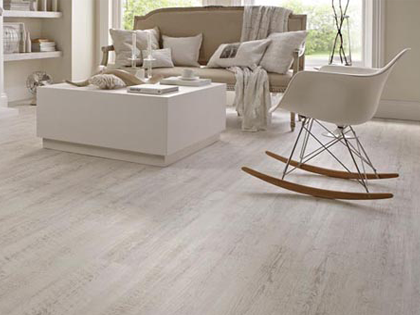 Our team will advise you on the best flooring option suitable for your individual needs. Contact Absolut Carpets today. Water: The most important thing to remember about your laminate wooden floors, is that excessive water is bad for it. This means that less is more when using water to clean your flooring. Cloths and mops should by rung out when wetting for use, and no water should be poured directly onto the laminate floors. Dust removal: Remove dust and dirt particles with regular dry cleaning methods. This includes sweeping with a soft bristle or rubber bristle broom or vacuum cleaning regularly. By removing dirt or a regular basis will help prevent surface scratches caused by walking over dirt particles. Spills: Try to clean up spills immediately. This will help avoid stains, and liquid seeping into the seams of the flooring. No liquid should sit on the floor for prolonged periods, as it will damage the floors and cause the protective layer to lift. Soak up all liquid spills with a dry cloth, and wipe with a slightly damp cloth afterwards. Hot water: Hot water alone is considered a very good cleanser. It will remove dirt without any harsh chemicals required, and will not leave streaks if done correctly. Remember to wring out mops and cloths sufficiently after soaking in the hot water, before using them on your laminate wooden floors. Wash the floor completely from corner to corner, whilst soaking and wringing the mops / cloth as required. Vinegar: Vinegar is a very versatile liquid, and is often used as a cleaning liquid in many different applications. Dilute the vinegar by simply adding half a cup of vinegar to 4 litres of water. Vinegar is also effective to remove odours from laminate wooden floors. Detergents: Gentle detergents can be used to clean your laminate wooden flooring. Remember to dilute detergents with water, and not to apply it directly to the floors. Ask your flooring supplier which detergents are best for your specific laminate wooden floor products. Remove stains with a cloth as soon as possible. Use a non-abrasive cloth to clean the spill. Spray a small amount of detergent onto the cloth for tougher stains. Cleaning machines (spray mops, tile cleaners, steam cleaners etc). Floor mats in doorways from the outside will ensure less dirt particles are left on your floor. The more dirt present on the floor, the more scratches can occur. These scratches might not be visible at first, but can make the floor appear dull after some time, especially in high traffic areas. Fit the feet of your furniture pieces (especially chairs) with felt, to ensure that they don’t scratch the floors when moved. Picking up furniture before moving is also advised instead of pushing furniture across the floor. Ensure that flower pots and vases to not spill water on the floor, as this can damage the top protective layer. 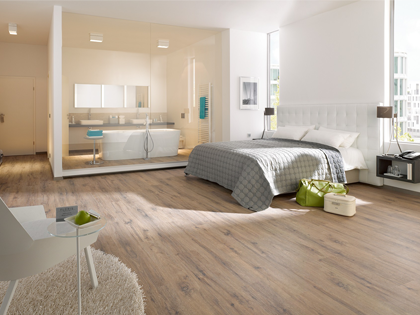 Most high quality laminate flooring products are resistant to certain levels of UV light exposure, if not, prolonged hours in direct sunlight should be avoided. 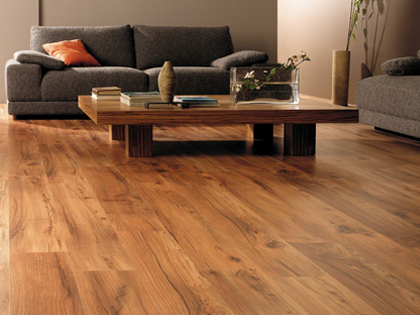 Talk to your laminate flooring supplier in this regard. 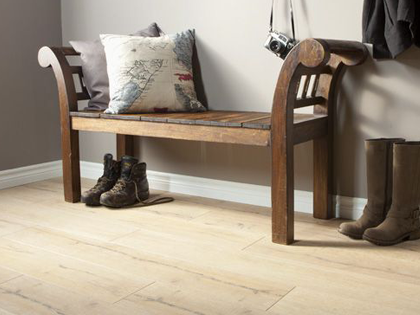 Laminate wooden flooring is an excellent choice of flooring for homes and businesses. 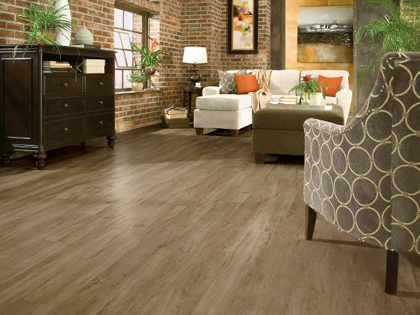 If you are considering to install laminate flooring, talk to a consultant at Absolut Carpets today. We will advise you on the best options for your specific needs. 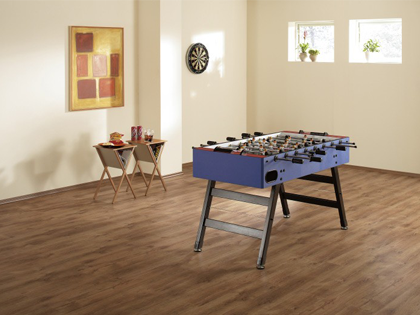 Choose from a number of top quality brands in different price ranges, to find a quality laminate floor that fits your budget. Contact Absolut Carpets today.